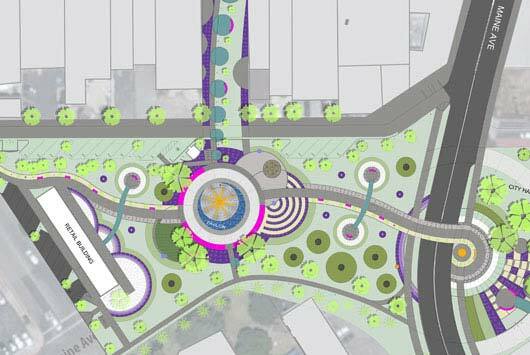 LCDG recently completed design of a $5 million, 3-acre civic plaza. The design is a model for sustainability and water conservation. Just 4% of the park area is planted in grass. The remainder is drought tolerant ground cover and decomposed granite. Rocky swales are strategically located to capture 100% of the rain water. The design includes a retail building, pavilion, veteran’s memorial, and a fountain. LCDG successfully led community outreach, listening and responding to businesses and residents. 3-D modeling and animation was used to illustrate the design.